Located in a picturesque valley on the northwest coast of Majorca, Sóller is a beautiful coastal town complete with old streets, orange trees and plenty of historical sites. This idyllic city offers visitors a unique selection of pastry shops, citrus fruit plantations, intriguing museums and stunning natural parks. The Orange Express, a famous tramway, links the city to Port de Sóller. The town is home to many festivals throughout the year, including the 'Moros y Cristianos Fira & Firo', the Procession and Carnival of Sa Rua and Sa Rueta, and the Fiesta of Our Lady of Carmen. A classical music festival takes place during September and October, too. With such a range of activities and things to do, visitors to Sóller are guaranteed to have a jam-packed & fun-filled holiday. 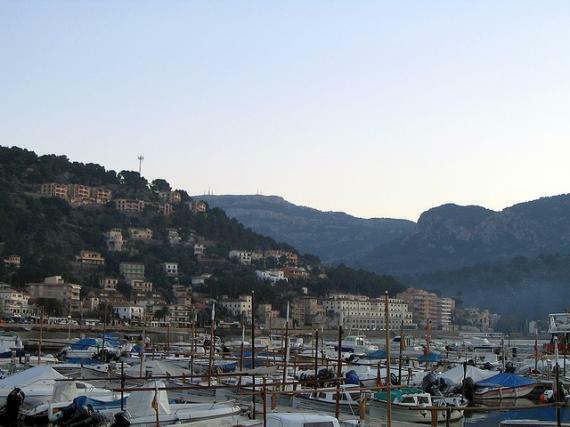 Sóller has over 14,000 local residents and covers a total area of 44 square kilometers. This picturesque town is dominated by the Puig Mayor, the highest mountain on the island. The main attraction of the city is the Plaça Constitució square. Here you will find a huge fountain, restaurants and cafés, medieval churches and historic houses dating back to the sixteenth century. Ancient olive trees and orange grooves populate the city. From scenic views to historic buildings and modern fashion stores, this town has something for everyone. If you're passionate about nature and science, make sure you visit the Balearic Museum of Natural Sciences. Founded in 1992, this museum is dedicated to the study and conservation of nature within the Balearic Islands. It features permanent and temporary exhibitions related to the flora and fauna in Mallorca. The site of the museum is home to the Botanical Gardens, which are well worth a visit. For something a little closer to the resort, visitors can also go to the museum of the 'Casal de Cultura Museum of Sóller' and the the 'Ca'n Prunera Museum of Modernism'. These museums give an interesting overview of Sóller's history, and the whole region's itself. Visitors to Sóller are missing out if they don't take a trip to the stunning resort of Port de Sóller (also known as Puerto de Sóller). This hotspot is complete with a relaxing atmosphere, out-of-this-world seafood restaurants, plus a lovely U-shaped bay with three beautiful beaches. Many guests choose to visit the beautiful Art Nouveau church of Sant Bartomeu (Saint Bartholomew). This religious building was registered as a National Historic and Artistic Monument. It features unique, traditional architecture dating back to the 13th century. Another aspect of Port de Sóller that really sets it apart is the fact that it has managed to remain fairly unchanged over the years, and certainly succeeds in keeping its traditional atmosphere intact. One of the major tourist attractions is the railway that takes visitors from Palma to Sóller. Built in 1913, this historic train was an important and crucial means of transport, and even today, the train remains a good method of transport for locals and visitors alike. With amazing views throughout the journey, visitors can easily travel from Palma to Sóller and the other way around. Find information about selected Hotels, apartments and rooms in Soller to choose the perfect place for your accommodation. ©2019 - majorcasunnyisland.com All Rights Reserved.